Mawlana Shaykh is teaching also that once we begin to study them [4 Khalifa], all of them have an eternal message. That Sayyidina Uthman [Shaykh pointing at first Station of Qalb], Sayyidina Umar [Shaykh pointing at Second Station of Sir], Sayyidina Abu Bakr [Shaykh pointing at Third Station of Sir Sir], Sayyidina Ali [Shaykh pointing at Forth Station of Khafa], Sayyidina Muhammad (saws) [Shaykh pointing at fifth Station of Akhfa]. At the level of knowledge [Shaykh pointing at first Station of Qalb], Sayyidina Uthman (as) is responsible for knowledge. Why Prophet (saws) gave two daughters [to him]. 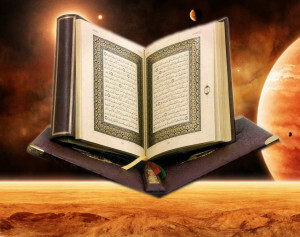 He is the compiler of Holy Qur’an – means no Uthman, no compiled Qur’an. We have for ourselves a compiled Qur’an and all the tashkil, all the notes of it, all its secret encodings [were written/added] by Sayyidina Uthman. It’s unimaginable because each dot, each nuqt, each wow, each line of it is an immense secret. 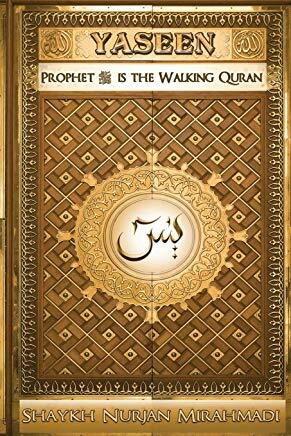 That he encoded everything by order of Prophet (saws). So means the station of knowledge and that reality begins to open. Then, Sayyidina Umar Farouq is at the Second station of Sir (Secret). It’s not a coincidence that he’s at the station of war and the station of struggle. That the nation was not standing up for itself until Prophet (saws) asked from Allah (AJ), ‘Send me one of Umar’– why? Because “Qul jaa al haqq wa zahaqal batil“. It means the ayat in Qur’an Shareef is at that level, “Qul jaa al-haqq“. So you see that’s why Mawlana Shaykh is always reciting certain ayats (verses), always, always, always; because this is in regards to the levels of the heart and the reality of the heart: “Qul jaa al-haqq wa zahaq al-batil“. So who is representing that struggle and the way of struggle was Sayyidina Umar. 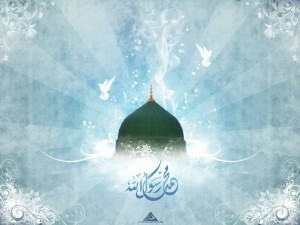 The Prophet (saws) described that, ‘If there was a prophet after me, it would be Sayyidina Umar’. And that Sayyidina Umar must come to perfect our soul, that: you have to struggle for what is correct. Don’t stay silent to oppression, not the oppression outside. Now amr bil ma’roof, they are lying. They want to go and correct everybody but not correct themselves. They say, amr bil ma’roof and then they slap you. And they could be a thief and a crook and all sorts of unimaginable characteristics. That ayat and that understanding was for ourselves. The amr bil maroof is about yourself that: come against oppression in yourself, come against your own bad character; destroy everything within you that’s bad, before you can possibly judge anyone else. Otherwise you stand the risk of Allah’s severe punishment. Allah says, ‘How you judge My creation and you didn’t judge yourself? You didn’t fix all of your own wrongdoings’. That’s why awliyaullah come into our lives and they teach us to be humble. That don’t see anything wrong with anyone, see only wrong with ourselves. So means that Sayyidina Umar (as) is coming, his light must be dressing. Again when he is in the world of souls he comes, when Prophet (saws) asks Sayyidina Umar that, ‘Go to this beloved servant and dress them from what Allah’s dressed you’. When you read about the Sahabi or awliyaullah (saints) that, ‘If you mention me, I dress you from my secrets. What does that mean; that they sit and speak some words to you? This is the world of light, means you have to begin to think outside the box! Don’t think physical: they come and they are going to recite. What they have to recite for? You are in the world of light. They merely sit in your presence of your soul, their light dresses your light. You won’t know its beginning and its end because two light bulbs go on. When their colour comes, their dress comes; it comes fully loaded, their light, and intermingle and dress your soul. 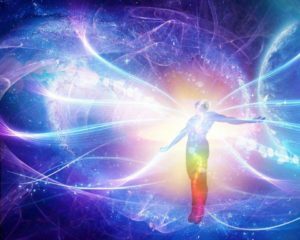 Dress your soul with what– with the ability to struggle, with the ability to stand up for truth, with the ability to come against oppression, internal oppression before you can go against external oppression. And then all of them connected to Sayyidina Muhammad (saws). All of them connected to the centre, all of them receiving that power and that light like Sayyidina Malik. 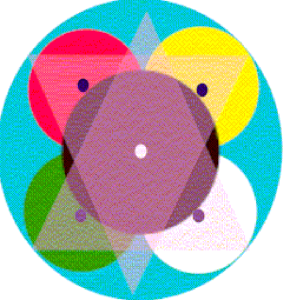 Means the authority from the central power is in charge of all four directions are all four powers. That, that reality of Prophet (saws) holds them together and dressing them eternally. So then they are dressing and passing through that light. Now coming into the world of light and the perfection of the sir sir. The Sir Sir is where Naqshbandiya starts is with Sayyidina Abu Bakr as Siddiq. 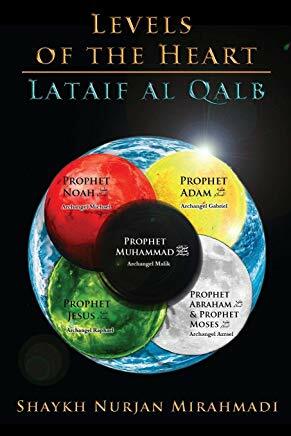 All other tariqas (Islamic spiritual paths), they have from Qalb [First Station] to the sir [Second Station]. 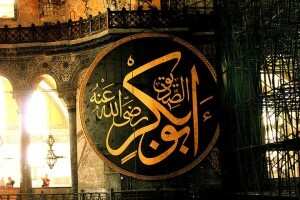 And to the level of the sir [Second Station], they understood that Prophet (saws) is the Sultan of all this universe. But to go into the dimensions and these realities, Naqshbandiya starts because their inheritance is with Sayyidina Abu Bakr as-Siddiq. And they begin to teach us Sayyidina Abu Bakr as-Siddiq is the siddiqiya relationship in the perfection of character. 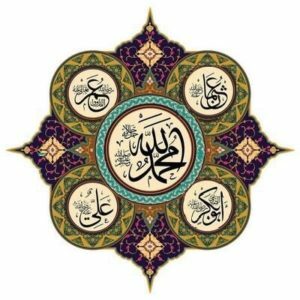 That he gave everything to Prophet (saws) to establish that Prophet (saws) would say to the whole of creation, ‘You have to love me more than you love yourself’. That is imaan (faith) because that dialogue between Sayyidina Umar, Sayyidina Abu Bakr and Sayyidina Muhammad (saws). Means, ‘You have to love me’, you have to give everything for Prophet (saws) and love Prophet (saws) more than you love yourself: that is faith. That is why the station of light, the station is the white light; this is the Sir Sir (Secret of Secrert) and now the perfection of the soul. As Sayyidina Abu Bakr as Siddiq comes and says to be a siddiq (truthful), to be truthful, to be an upholding and righteous servant of the Divinely Presence that, ‘They granted you knowledge, they granted you struggle; now I’m going to come and perfect your character, that you sacrifice yourself entirely for Prophet (saws). Then they hand us to Sayyidina Ali (as). Means the one who is the master of fighting. 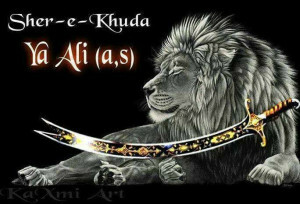 The victorious lion of Allah (AJ), Asadullahi Ghalib , teaches us that: now you are coming, because we are the owners of the Kawthar. All of them are drinking from it, but he wants to take us to the prophetic inheritance, the family inheritance. 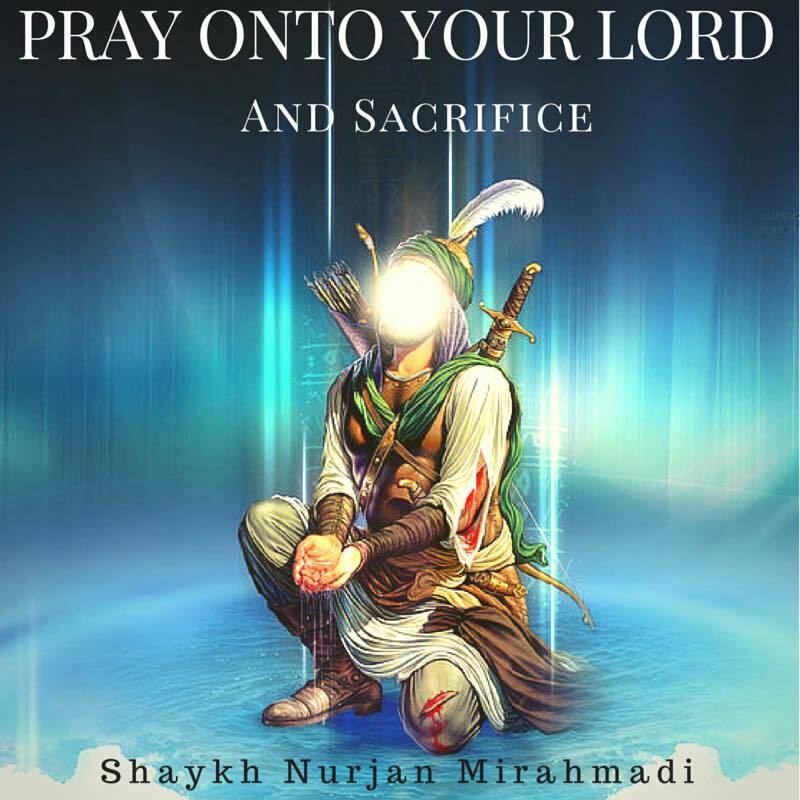 Pray unto your Lord, Lordship and the reality of the kingdom; pray to Allah (AJ) and acknowledge all of this authority; the authority of Sayyidina Muhammad (saws), the superior authority of all the Companions, the angels, the Ahlul Bayt; acknowledge all of them. Imam ‘Ali says, I’ll show you how to live a life of sacrificing yourself, where you put your head on the table to be a zabiha. Then you look at the lives of pious people, how much they took ‘Adhab (torture) and Bala (affliction) from people. How much they suffered at the hands of people. Abu Yazid al Bistami (Q) [6th Shaykh of Naqshbandi Golden Chain], how many rocks they threw at him. How many curses they throw at pious people, how much difficulty they throw on pious people. Why- “fa salli li rabbika wanhar“, they prayed unto their Lord and they sacrificed. They knew that when difficulty comes, they intercede for humanity. They intercede because they are trying to re-enact the reality that Sayyidina Ali (as) wants. That is my brother [Abu Bakr Siddiq], perfected your siddiqiya and truthfulness, that you gave everything for Prophet (saws). Come to me, and I’m going to show you now how to sacrifice yourself and stay quiet. That when you sacrifice yourself, means you are serving this malik; you are serving this king; you are serving this reality [Shaykh is referring to Prophet Muhamamd (s) and is pointing at 5th Station Akhfa]. How we understand that Sacrifice is in the opening of Muharram. That Prophet (saws) wants to establish the City of Lights. He is preparing now to move towards Madinatul Munawarrah and two very important events take place. One is representing the reality of Ahlul Bayt and Imam ‘Ali (as) said: “Sayyidi yaa Rasulullah (My master, O’ Messenger of Allah), they are coming to kill you. Let us take our role as your Family and we lie within your bed and let us to be sacrificed.” Fasalli li rabbika wanhar, because these are Ahlul Kawthar means this is all Muharram. Imam ‘Ali (as) is coming and saying, “We are from Ahlul Kawthar, fasalli li rabbika wanhar, We prayed unto our Lord and we are ready to sacrifice ourselves and we lie within the bed. Take your place and your position, establish your kingdom on Earth, establish the City of Lights which Allah ‘Azza wa Jal wants you to establish. And take your complete Siddiq, your Khalil, your friend and Companion,” means the perfection of your character. Then Sayyidina ‘Ali is lying in bed taking the place of Sayyidina Muhammad (saws) so that Prophet (saws) can escape and move towards Madinatul Munawwarah. This was all in the first ten days of Muharram. 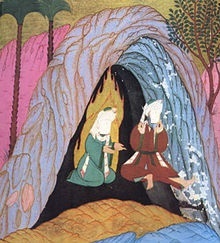 Before entering into the city on ‘Ashura, Prophet (saws) stayed in the Holy Cave with Sayyidina Abu Bakr as Siddiq. Means then the importance of Naqshbandiya til ’Aliya, how it carries that reality. That Sayyidina ‘Ali (as) is representing: “I am hidden and that is our place, the Family’s place,” because these are Moons (the Twelve Imams representing the 12 months in the Shams ul Arefeen diagram). This is a perfection of the Moon that is happening on the first month. So in the first month the first physical Khalifa. The face of the Nation are the Khulafa ir Rashideen wal Mahdiyeen (The Rightly guided and Most Perfected Muhammadan Guides). The first of them is Sayyidina Abu Bakr as Siddiq. They begin to teach there is ‘no mistake’ there is ‘no confusion’. Anyone who believes there was a mistake, what they are coming against is Allah ‘Azza wa Jal. Allah ‘Azza wa Jal wrote everything perfectly. 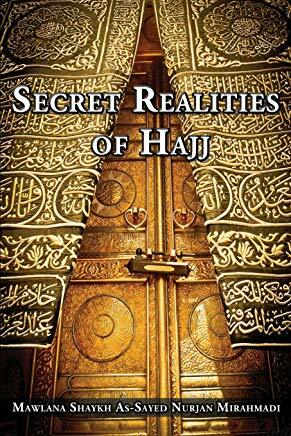 They are all in tasleem (submission) and they begin to show the highest level of reality. We know the reality, our position was to sacrifice. So Imam ‘Ali (as) leads a life of sacrifice. As soon as he lay himself to represent Sayyidina Muhammad (saws) when they came to kill, Allah ‘Azza wa Jal didn’t allow even a hair of Sayyidina ‘Ali (as) to be touched. What happened? He was released and Sayyidina ‘Ali (as) went into Madinatul Munawwarah. 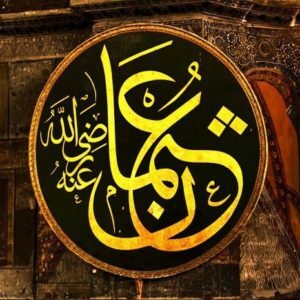 Then Imam ‘Ali shows by example through his beloved son; all of them were shaheed (martyred). Imam Hassan (as) is shaheed and Imam Hussain (as), the sayyid shuhada (master of the Martyrs] – it means that the master of this maqam to witness this reality, is Imam Hussain (as) . that they sacrificed and obliterated their physicality. Because this station of annihilation and fana‘, that Imam Hussain (as) is showing through Sayyidina ‘Ali (as) is that we not only obliterate spiritually, but We obliterated physically. They said 72 plus the whole body of Imam Hussain (as) were shredded into the desert, their bodies were shredded. They decapitated his holy body. And what Allah ‘Azza wa Jal, says “Inna shani-aka huwal abtar“. If you can reach to this destination of Prophet (saws) [Shaykh is pointing at station of Akhfa], Allah (AJ) says, ‘I will obliterate all your opponents’. It means ‘I grant you My Rida and Satisfaction. I grant you annihilation; this is the station of the master of annihilation’. Why it’s black – because no more manifestation. 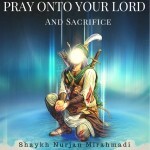 That Prophet (saws) is the lord of annihilation, the master of annihilation, where if he teaches you how to annihilate. 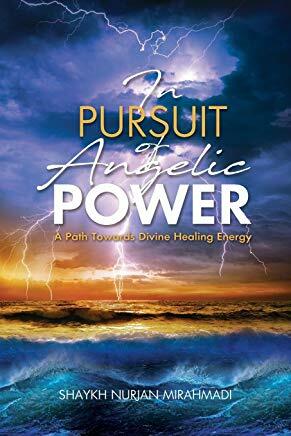 He (saws) even annihilates you within your annihilation that you no longer manifest a light, because he’s is going to take you into the innermost secret of Allah ‘Azza wa Jal‘s Divinely Presence. To witness, not to be One, because no oneness with Allah (AJ) Divinely Presence, but to witness; witness what Allah (AJ) wants our souls to witness but, you can’t have an existence in Divinely Presence. 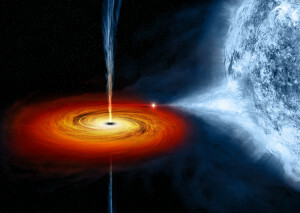 Prophet (saws) like a black hole, teaches you: be nothing, that even your somethingness will vanish in that black light. That’s why it’s black because nothing manifests back. The lord of annihilation, the lord of that reality, the master of that reality is Sayyidina Muhammad (saws). Means that all this reality into the ocean. That without the love of the Companions, this ocean can’t be achieved. Subhana rabbika rabbal ‘izzati ‘amma yasifoon,wa salaamun ‘alal mursaleen, wal hamdulillahi rabbil ‘aalameen. Bi hurmati Muhammad al Mustafa wa bi sirri surat al Fatiha.